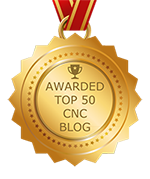 While you are not the one responsible for manufacturing parts and components using CNC machining, as the customer, it is helpful to understand some of the basics. Included are certain facts about the CNC machining shop that performs the work. Not only will this insight help you communicate your needs better, but it also gives you the opportunity to establish a long and trusting relationship with the manufacturer. Read more! Many people are surprised that there are different kinds of CNC lathe machine. Although the concept behind the machines is much the same, there are differences. Before choosing just any CNC lathe services, it would be helpful for you to have a better understanding of this machine and its unique types. That way, you end up hiring the right CNC cutting service – one that can accomplish what you need done. Read more! There are so many ways Ohio CNC machining products can be used. In fact, multiple industries rely on these products. If you need a machined product, rather than focus on small or large machine shops, you need to select a manufacturing company that provides years of industry experience and unrivaled expertise. That way, you have the assurance needed that the finished product will meet your specifications. Read more! For complex parts and components, you will always need professional precision CNC machining services. However, for prototypes, simple parts, and short runs, there are also benefits of owning a precision CNC machine. Although the machine is automated, it gets its instructions from a human who enters written code. Therefore, to own a machine, you also need an operator qualified to provide it with instructions. Read more! Choosing among different companies that offer CNC machining services is relatively easy, but when searching for that one special custom CNC machining shop, you need to be a little more selective. With customized parts and components, not only is precision critical, but you also want to make sure that the company can produce a finished product to unique specifications. That way, you end up with what you need without any delay or repeated production. If you are unfamiliar with CNC turning, the information provided will tell you everything you need to know. Today, a host of industries rely on CNC machined parts and components, both standard and custom. With incredibly accurate results, this may be the very solution that you need for your business. Read more!